Chapter 3. Types of Guarantee. Chapter 4 . Conditions of Payment (Payment Mechanism). Chapter 6. Parties to the Underlying Relationship. Chapter 7. 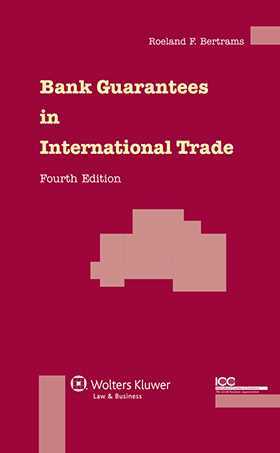 Role and Position of the Bank Issuing Guarantees as a Financial Service. Chapter 8. Drafting and Clauses. Chapter 9. Relationship between Account Party – First Instructing Bank – Second Issuing Bank. Chapter 10. Relationship between Account Party – Bank (Direct Guarantee). Chapter 11. Relationship between Account Party – First Instructing Bank – Second Issuing Bank (Indirect Guarantee). Counter-Guarantee.